Tonight, Coldplay will take the stage with Beyoncé and Bruno Mars during the Super Bowl 50 Halftime Show! But before Chris Martin and company take the stage, here are some of Jake’s Take’s favorite Super Bowl Halftime Shows of all-time! 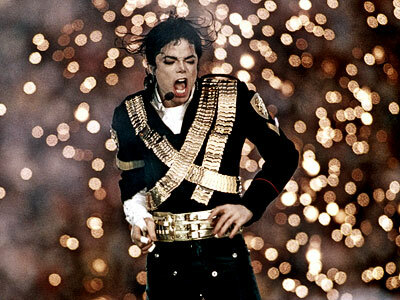 The King of Pop set the standard when the music superstar performed at Super Bowl XXVII. For an electrifying 13-minutes, Michael Jackson blazed through three of his biggest hits: “Jam,” “Billie Jean” and “Black or White,” before a powerful rendition of “Heal The World” that featured impeccable choreography and a subliminal message of hope and peace for the next generation. Swing, salsa and soul music came together at Super Bowl XXXIII for an incredible performance. Countless dancers joined Big Bad Voodoo Daddy, Stevie Wonder, Savion Glover and Gloria Estefan in an impeccable performance that entertained the millions of viewers from around the world. Also, keep an eye out for the one and only E.T., who made a cameo during the opening of the Progressive Halftime Show. Thank you, MTV, for creating one of the most epic Super Bowl halftime shows of all-time! At the height of the Total Request Live era, the music television channel brought together five of the biggest acts from four musical genres on one stage. From *NSYNC’s mini performances of “Bye Bye Bye” and “It’s Gonna Be Me” and Aerosmith’s brief performance of “I Don’t Want to Miss A Thing” to Britney’s glorious entrance and Mary J. Blige wailing away on “Walk This Way,” this collaboration was the perfect way to end a brief chapter in halftime performances. Rock’s greatest singer-songwriters of all-time delivered an inspiring performance that created one of the world’s biggest singalongs in history. The Artist Known as Prince brought fireworks, pizzazz and one of the largest stages in Super Bowl history to his performance at Super Bowl XLI! Prince also gave the audience nice guitar solos as he whizzed through the history of funk rock as he covered “We Will Rock You,” “All Along the Watchtower,” “Let’s Go Crazy” and “Purple Rain” accompanied by a massive marching band. When Super Bowl XLIII visited Tampa, Florida in 2009, they recruited Bruce Springsteen and the mighty E Street Band to entertain the masses in the stadium and in homes around the world. For longtime Springsteen fans, the 12-minute set was a dream come true as the Boss and his band weaved “Tenth Avenue Freeze-Out,” “Born to Run,” “Working on a Dream” and “Glory Days” together for an epic set that rounded out the 2000s. 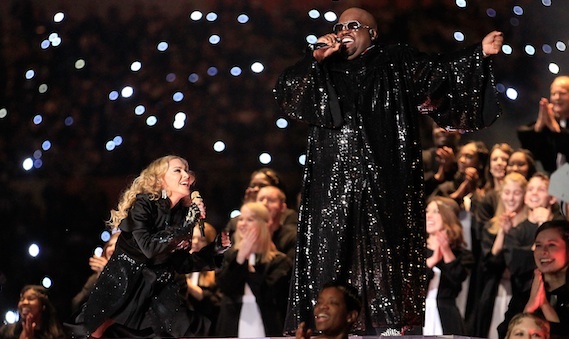 The Queen of Pop created quite a stir when she was invited to perform at the Super Bowl. While she evoked Ancient Greece and Ancient Egypt throughout her set, Madonna and creative team brilliantly entwined classics such as “Vogue,” “Open Your Heart,” “Like a Prayer” and “Music,” while she recruited the next generation of hitmakers (LMFAO, Nicki Minaj, M.I.A. & CeeLo Green) to join in on the fun. 20 years after her role model (Michael Jackson) took the stage; Beyoncé electrified the crowd at the Mercedes-Benz Superdome. From the word “go,” Beyonce’s visually appealing and ear pleasing spectacular hypnotized viewers to keep their eyes on the screen and not pick up any food for the duration of her set. Among the highlights of Beyonce’s performance includes Queen B’s reunion with fellow Destiny’s Child group members Kelly Rowland and Michelle Williams. Their performance proved that after nearly seven years apart, the trio still had the moves and vocals to put smiles on fans’ faces. I don’t own any of the clips that are sprinkled throughout the article. They belong to NFL and their respective TV networks.